Siera is the result of two brothers' passion for fine jewelry. Saro and Raffi Marukian were born and raised in Istanbul, Turkey, the heart of a tradition of jewelry-making that goes back to the brilliant courts of the Ottoman emperors. The brothers began their jewelry careers studying at the feet of Saro’s father-in-law, Koko Kurkjian, who was regarded at the time as Turkey's most prestigious jewelry designer. A decade later, in the early 70's, the two brothers made the journey to the United States and opened Siera Jewelry. Going into business before the advent of email and digital catalogues, Saro and Raffi Marukian worked for years to build, ring by ring, a reputation for excellence that spread by word-of-mouth through California and beyond. Today, Siera company is one of the few in the industry that integrates all aspects of jewelry creation, from design to manufacturing, in its Los Angeles atelier. Siera stands apart from its competitors because of a sterling reputation for quality developed over forty years. Continuing the traditions refined in Istanbul, the brothers take the time to personally design each new piece, blending contemporary style with a refined sense of taste to dazzle every audience that comes across the company’s jewelry. Ranging from delicate bridal jewelry to avant-garde Art Nouveau-inspired designs, the Marukian brothers never rest on their laurels when it comes to designing pieces that dazzle the imagination. In fact, over the forty years that Siera has been in business, the company has won plaudits from its peers in the industry and a procession of awards for its creations: The 2016 Centurion Design Award in Diamond Fashion, the 2017 JCK Jewelers’ Choice Award for Tanzanite Jewelry Over $10,000, the 2015 JCK Jewelers’ Choice Award for Diamond Jewelry Over $10,000 Category, the 2012 Centurion Design Award for Diamond Fashion, and many more. Siera’s unique process has made the company a favorite with many of today's most popular stars including Halle Berry, Debra Messing, Mariah Carey, Kristen Bell, Portia de Rossi, and Paula Abdul, to name but a few celebrity clients. Still, Siera brings its red-carpet looks to all its customers, and when bringing fine jewelry to clients nation- and worldwide, it’s a necessity for a company to win the loyalty of the people with whom it does business. Integrity, honesty, a commitment to high-end quality, and customer satisfaction are the promises that Siera makes when working with its customers. 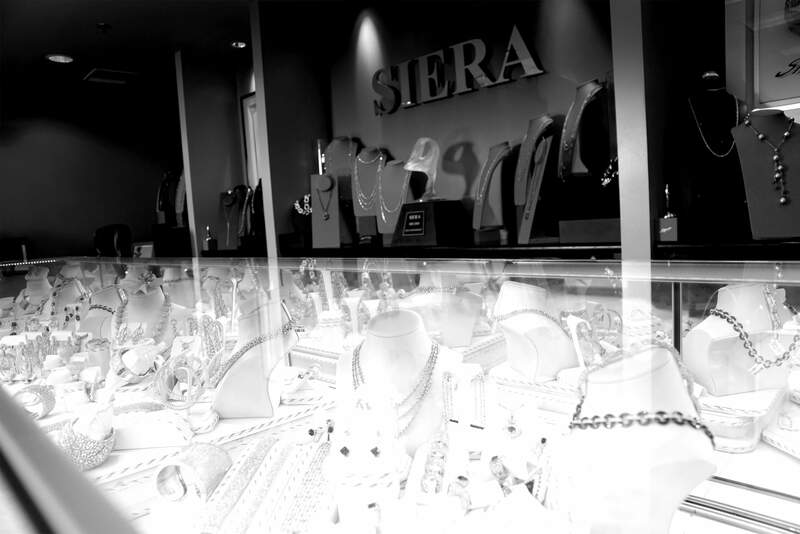 Siera Jewelry, Inc., strives to give its customers the fastest, most reliable service possible, and to treat each customer with honesty and dignity. For the Marukians, strong relationships, built on trust and respect, are the best way to ensure that a business will grow through the years.